Our mission is to end domestic violence through awareness, education, and empowerment. Community, we consider the community our greatest asset and work tirelessly to keep every citizen safe from harm. Empowerment, we assist families with recovery by helping them regain their confidence, self-worth, and courage to create lives free from violence. Inclusion, we are dedicated to support people of all races, faiths, age, gender identification, abilities, and sexual orientation without bias. Integrity, we demonstrate our values with every interaction and in everything we do. Sustainability, we are committed to the long term health of our community and we will be here to answer its call. 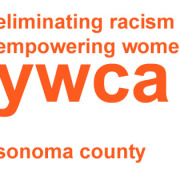 Would you recommend YWCA Sonoma County?